From the latest chi conference. It's true that phones are one size fits all devices, one form with many purposes. But physically changing devices of any kind are few. And why is that? Partly, limits of technology. Partly also, limits of people: a changing device is unfamiliar. Should our phones be more like Swiss Army knives or our favorite tools? Scientists in Europe have developed prototype devices that could drastically change the way we interact with our smartphones and tablets. 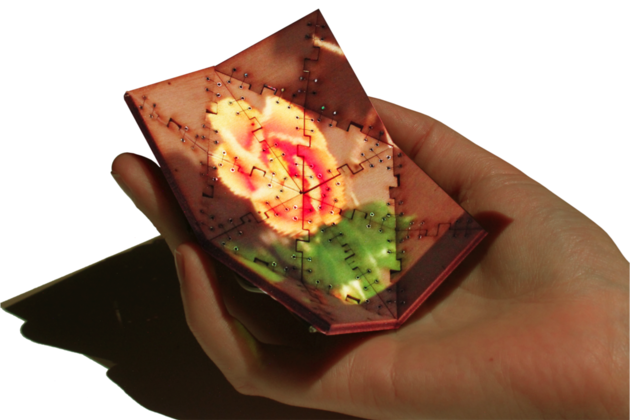 The six working prototypes, known as "Morphees," are thin, electronic displays capable of automatically changing shape to perform certain functions. Researchers say that if brought to market, the devices could usher in a new era in mobile computing, breaking down the physical barriers that have traditionally defined smartphones, tablets, and gaming consoles.